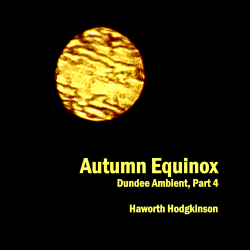 Autumn Equinox is the latest installment of Dundee Ambient, my year-long exploration of night, sleep, dreams and the seasons, based on sounds that I recorded in Dundee in the 1990s. 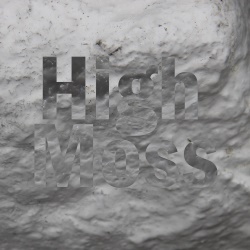 As with the previous parts, it can be heard either as a stand-alone piece reflecting on the city by night, or as part of the whole six-hour sequence following the course of an imagined night's sleep. If you have heard the previous parts you will recognise many of the sounds and the way they interact, but if you haven't, Autumn Equinox should make sense in its own right. Part 4 is the only one of the five parts that does not begin and end with the gently breathing drones associated with a state of restful sleep. It begins with organ-like music that in Part 3 had accompanied the singing of a Dundee blackbird, but now with the blackbird gone it feels restless. A very short hint of the restful sleep music leads to an extended dream sequence, which gradually unfolds in a similar way to that of Part 2. At the end there is another hint of restful sleep before the organ returns, but whilst we might expect this to round off Part 4 symmetrically, the music instead veers into the strangest nightmare in the whole of Dundee Ambient, with the organ drifting into microtonal tuning and the ghost of summer's blackbird making a reappearance slowed down to sound like some terrifying creature of the autumn night.